The latest speculation on the Leafs, Flyers, and Hurricanes in your NHL rumor mill. 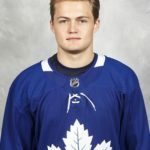 CAN NYLANDER TRUST DUBAS’ NO-TRADE PROMISE? TORONTO STAR: Dave Feschuk is skeptical of the verbal no-trade promise made by Maple Leafs general manager Kyle Dubas to William Nylander. The recently re-signed winger said Dubas told him “multiple times that as long as he’s here, he’s not going to trade me” as long as Dubas was running the club. The Leafs GM acknowledged his intent to keep Nylander with the Leafs. TSN analyst Ray Ferraro wonders what Dubas would do if he received an incredibly attractive offer but the other team wants Nylander as part of the package. Nylander lacks no-trade protection until the final season of his new six-year contract. SPECTOR’S NOTE: I don’t doubt Dubas is sincere with his verbal “no-trade” pledge to Nylander. And I don’t see the winger being shipped anywhere this season. But a lot can transpire during the years Nylander lacks no-trade protection. THE NEWS & OBSERVER: Chip Alexander reports the Carolina Hurricanes are still plagued by an inability to score. While they lead the league in shots on goal (1,007), they have only 65 goals and their shooting percentage (6.5) is the league’s worst. Ferland has 11 goals but is sidelined by a concussion. Svechnikov has six goals, Hamilton three and Necas is playing with their AHL affiliate in Charlotte. SPECTOR’S NOTE: This piece isn’t a trade rumor but it’s worth noting the Hurricanes were frequently linked to William Nylander during his contract impasse with the Leafs. With Nylander no longer available, Waddell is probably shifting his focus toward other clubs to bring in some scoring punch. The Hurricanes has considerable blueline depth and could shop a defenseman such as Brett Pesce or Justin Faulk to land a scoring forward. TSN: Bob McKenzie reports the Philadelphia Flyers’ recent management change may indicate a shift toward a “win now” mentality to a certain degree. However, he doesn’t expect new GM Chuck Fletcher to start trading first-round draft picks or top prospects like Morgan Frost for quick fixes to get the Flyers into the 2019 playoffs. SPECTOR’S NOTE: Taking sufficient time to assess Hakstol’s coaching is probably the easiest of those priorities. Finding suitable short-term goaltending help could be tougher to address. There’s not much available right now. Last week, there was some talk of the St. Louis Blues scouting Detroit Red Wings starter Jimmy Howard but the Wings could be reluctant to move him right now. Fletcher could be forced to wait until next summer to suitably address his goaltending. There are probably 6 billion people I would rather listen to than Pierre McGuire. You as re not one of the 6 million…. Fletcher loves to make deals …he has always come with a knack to make a very decent quality top tier trade and make it work in a very tight cap situation …he has also been able to do very well at negotiating contracts to the better of the team concept with players …It will be very interesting to see what he pulls of first ! If I was him …Id look to trade for Dubnyk right away …he has been struggling and Stalock has looked really good …Wild can clear some cap in that deal and move on ..and I think Dubnyk can settle that position down for this season and next and help the young D men coming up play better around him.! Much easier deal to make without having to ship out a major asset in a J. Quick trade that would cost you double the assets going out..
SECOND …Id put to sleep the Wayne Simmonds fiasco and just trade him for the best deal you can get and move on from that situation to clear that out and use that as the sign things are going to change around here …just get the best deal and or assets you can …he should not be resigned buy Philly …he has taken a real big step back ..time to move on for a faster younger winger. D man …the Leafs DO NOT need more soft perimeter forwards…they have PLENTY ! I totally understand where John Tortorella is coming from in this instance ! They can be momentum changers and can give put off quality players for the rest of the night. the team who plays a heavier game come playoff time wears down an opponent at the same time of staying out of the box will be extremely successful and will advance further …not only are guys not finishing checks when one is presented the other player will not engage and try to wimp out and not make the play, team who can recognize this should be able to win more puck battles and create turnovers. Agree! Simmonds would be a great sacrificial lamb. He is prolly the most loved by the fans, but the consensus is that he should not be brought back. Especially if he is seeking a 6/6 deal as rumor suggests. I would not trade for Quick, I would like to see if Stolarz is ready to back up Elliott before doing anything else. …while it was an unreal goal and being a REALISTIC Leaf fan an all the headlines saying he is driving the play and the key to leafs success of late is a bit missleading ! I have to be honest with you …for most of the night Matthews was AWOL ! Almost Ovechkin like in the years every one was saying trade him. Marleau Johonsson Hyman Rielly and Derrmott did a lot of heavy lifting Matthews was very much a perimeter player most of the night! Funny thing to say …if the Leafs only have 10 shots on net in any one game and Matthews has 3 of those ..the Leafs should win almost every game even if the other team has 40 on the board …he is MONEY when he has…. THE SHOT ! I agree. Sounded like he really wanted the Leafs to lose last night during the NBC broadcast. Thanks for being honest with us. And Pierre is all time favorite! I cringed at losing him when he was being interviewed for GM at the Penguins. He was not selected and made the announcement with wonderful praise to the Pittsburgh organization. What a WORLD CLASS ACT … both in victory and defeat. That’s the real measure of a person. we should have some big data stats to factoring hockey rumour. No sooner than when Cap Hell hits the Leafs head-on next season, Nylanders name will hit the rumor mill, being without a ‘no-trade’ clause. His name is already jn the rumour mill. Skinner would be a great pick up for the Canes. I wonder if there is a fit. Toronto has plenty of options for getting under the cap, but, I don’t see trading Nylander as one of them. Hainsey will be gone, possibly replaced by Linjgren. I don’t see Gardner back. Buying out Marleau’s last year a possibility. He’s only owed 4.2M. Must emphasize that it was the addition of Tavares that put Leafs in this position. They had a solid young core of future stars. I don’t blame them for adding JT, it puts them among a select group of teams that are legit contenders. I think the key moving forward is replacing older mid level players with guys on elc’s or finding cheap, serviceable replacements in free agency. Buying out Marleau makes no sense. He’s on a 35+ contract and the full $6.25M cap hit would apply next year if bought out (see Alex Burrows on Ottawa). A better option would be to trade him after the signing bonus is paid on July 1, 2019. He will only have $1.25M left in salary on his deal. Cap floor teams would love that. However, Marleau has a NMC next year and can only be traded if he allows. Van…Did not know that. Thanks for clarifying. Still believe keeping the younger, higher end players makes more sense than giving raises to older guys like Gardner. They’ll find a way. Ive seen 4 Leaf games live this year thus far and a few more to go .. I can not tell you how valuable Marleau is on the ice …he very rarely makes any mistakes is always in the right locations never gives up on a play …and at his age ..is still a better skater and in position than guys who are 24 …he is soooooo valuable …anyone who says different is only saying so because they like to spitball that old guys are done in the NHL and that they dont deserve the contracts …in most cases it may be true at the end of a career but in Marleaus case this guys is still a top 6 player on ANY TEAM!!! You can count on him in any jam against any player off the dot ! Last night he was one of the best players on the ice ..wit a collection of Matthews Marner Eichel Rhienhart Dahlin and so on ..RIGHT THERE with no issues at all and gets the winner ! I don’t think anyone is arguing that Marleau cannot play anymore or that he is hurting TOR on the ice. The problem is that with the coming cap crunch, they simply cannot afford to bring everyone back next season. If the choice is shipping out a young player who could be a part of your core for a few years versus shipping out Marleau who will likely retire after next year…Marleau has to be the choice. Marleau also has that NMC so only moves if he chooses to. Re: Leafs Cap Crunch; Isn’t the most obvious place to start moving Horton’s contract? It cost the Wings 4 spots in the 1st round and a 2nd to move Datsyuk’s. Datsyuk retired, so there was no cash outlayed by Arizona. What ails the Leafs isn’t so much lack of body contacts, it is about their woeful d-zone play, and good teams will cycle them to death…that is, speedy not heavy teams. My point on HEAVY teams is about wearing down a team in a PLAYOFF series not a one off league game …in a series its a total different beast …and sometimes setting the table for the next few games can change the momentum and take guys out the series …JUST like the Bruins did to Nylander and Matthews last year and the Caps did the Vegas and every team before them ! Making guys scared and to think twice in a 7 game series becomes just as important in the game within teh game as any Goal does ! It can create space and time and give players less room to make a play playing looking over there shoulder …Leafs right now have NOTHING to thwart that when they WILL come up against it in a series …Teams ive seen expose that of the Leafs such as the Jackets Stars Bruins Buffalo have given the Leafs fits and can win a series if they finish the checks EVERY GAME EVERY SHIFT ! If Buffalo had played more physical and a meaner game and werent afraid to go to the box because of the Leafs PP …they would have crushed the Leafs ..Buffalo was not physical enough in the corners …I can not believe HOW BIG BUFFALO IS !! WOW..Berglund Thomson Bogosian Risto HUGE!!! never used there size at all all game …it was a turning point ! Regardless of any cap crunch coming ! My question, Jon, is who are the tough, physical defencemen that would be available in a trade or via free agency? Montreal just waived a guy like that and sent him to the minors. To paraphrase Butch Cassidy, Who are these guys? The notion that “heavy” teams have a playoff advantage is not borne out by results…look a the last three cup winners…. Heavy isn’t the right word, physical is. It is a fact that everybody needs to be able to skate in today’s NHL. Rule changes have increased scoring chances across the league and speed and skill are now valued much more. I don’t like Wilson either, but if he stays between the lines he is a very valuable player. He can skate. It is also a fact that the game changes dramatically in the playoffs. You can still hit in the NHL. The quantity, and force of these collisions increases twofold in the playoffs, I dare say threefold. I still remember my Bruins getting knocked around by the “big bad Bolts” in round 2 last year. Big and fast is still valued more than small and fast all other things being relatively equal. the point raised by Kal El is pertinent, teams that excel in the regular season when there is minimal contact will find it tough come playoff time when almost everyone finishes their checks. A lot less time and space in the playoffs, the danglers disappear. nhl should have a right agreement with khl, right does not mean that player will play or not, but could make nhl team in a one year spam. they have an edge going into the playoffs with there style of play more than most ! Chevy and Paul Maurice has really done a great job there ! Kal, thank you for bringing up the Jets. The notion that bigger, heavier teams are obsolete in today’s NHL is flat out wrong and Winnipeg proves it. A few years back Cheveldayoff was interviewed and said he built the Jets to compete against the Kings. Job well done I’d say. Kal El , the only drawback playing like this night in and night out is the wear and tear on the body. I love the Jets style of play but the fact Vegas knocked them off in 5 during the conf finals last year led me to believe they ran out of gas. Tough division they are in too. For me the Nashville vs. Jets series was the ultimate. Ferguson, and the Kings won 2 cups in 3 years playing this style. It’s not like it was 10 years ago or anything. I don’t know the answer to this but can RFA players receive no trade clauses in their contracts? I assume not, or Papa would have demanded that along with the maximum money they were pushing for. I think the threat of trade even with the smile and handshake verbal agreement will motivate Nylander to become more of a complete player. If he doesn’t, he could be traded at a later date because one dimensional players eventually become liabilities on the ice when they don’t score. As an aside, is it any weird coincidence that the teams that overpaid for the Fingernail Twins JVR (Philadelphia) and Bozak (St. Louis) are struggling? Any coincidence that the Leafs are now faster and better now that their spots are given to faster and younger players? I have wondered the same thing with regards to RFA contracts and NTC/NMC. I haven’t found anything concrete, but I looked at a couple of other guys that signed contracts covering both RFA and UFA years. Both McDavid and Pastrnak have some form of NMC/NTC kicking in the year after their RFA time would have expired. Does anyone know if the CBA allows for NTC/NMC in RFA contracts? Double minor. Pretty sure I read last week that no ntc while Rfa… I believe that’s why Nylander only has in last year. I think he’s ufa eligible at age 27? Any thoughts maybe both Marner and Matthews sign a one year deal each for less than market value. Marner at 8 mil Matthews at 10 mil. This will buy one more year at which time both Marleau and Horton’s contract’s expire. Pretty boring around here without all the Leaf talk we’re so accustomed to. Bruins need to get healthy again before the Pens and Canes start making up ground. Ya, finally catching up to them shoreorrpark. Compressed schedule short term too, so this week and next are big. Don’t miss Bergy much do they? Talbot to Philly or St.Louis?